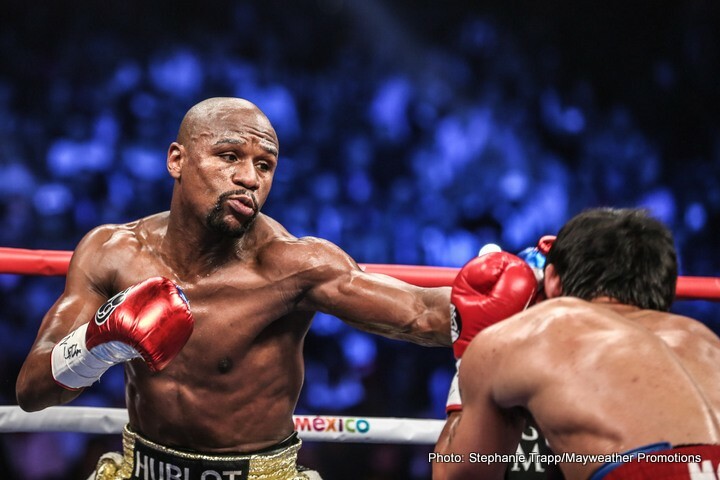 Is a Floyd Mayweather jr. vs. Gennady Golovkin fight possible? As the Mayweather vs. Pacquiao fight taught us, all obstacles can be moved aside when you’re putting together a big PPV fight. Promotion companies, weights, feuds, and even separate cable network contracts are not enough to stiffen the plans of a Mega fight. As we wait until Floyd’s next opponent becomes official, one potential golden ticket winner stands out. There is no opponent, more dangerous to Mayweather’s zero than Gennady Golovkin. Unfortunately this is also one of the most unlikely match ups. The first obstacle is of course a considerable size difference. Gennady is a middle weight (160), while Floyd campaigns at welter weight (147). You don’t have to be a mathematician to see there is a 13 pound problem. There is however some compensating factors. Mayweather actually holds the 154 pound, jr. Middle weight world champion title for both the WBA, and WBC. Mean while Golovkin and his trainer have mentioned on multiple occasions that the Gennady will come down to 154 for a big fight, and does it get any bigger? On the surface we have is a legitimate jr. middle weight championship fight at 154. The catch however, is that even though Floyd is the 154 pound champ, he is really a welter weight by every measure. Floyd doesn’t play the weight game, and is one of the unique fighters that actually walks around near his fight night weight (low 150’s). For those not familiar with how the weight manipulation game works in boxing, let’s review the process. Boxers weigh in the afternoon before a fight.This is when they have to step on a scale, and be under the official weight class limit. A lot can happen in the proceeding 30 or so hours. Many fighters will drain the water from their bodies using calculated water restriction, saunas, and even laxatives to be under the official limit at the weigh in. Then right after stepping off the scales they will rehydrate, adding up to 20 pounds or more, gaining a significant weight advantage once they actually step in the ring. Floyd might not be big on weight manipulation; however many of his opponents have been in the past. Alvarez weighed in at 152, for his catch weight clash with Floyd. He then rehydrated to 165 when he actual got in the ring. Maidana weighed in at 146 1/2, only to rehydrate to 165. Realistically, Floyd has been fighting bigger men most of his career. GGG weighed 170 pounds his last fight with Willie Monroe jr. that was scheduled at 160 pounds, If Golovkin trained for 154 showdown, you could expect him to come in at fight night in the 164 range. If this fight were to take place at a catch weight, which it would, the gap would be slightly less, and would be very similar to Mayweathers last couple fights. There is however, an underlying factor more significant than weight in this particular fight. Golovkin is arguably the scariest man in boxing. He has the highest knock percentage in Middle weight champion history, and is currently on a 20 fight knock out streak. It appears that the only way to escape a stoppage from GGG is to fight him in a 10 round or less fight. Gennnady is avoided by his own weight class, and asking Floyd to face the boogie man, even though he would have at least a 10 to 15 pound weight advantage is a tall order. Floyd has said he wants his last PPV fight to be a big one, and this would definitely offer a grand finale to his career. After the big disappointment of Manny vs Floyd, it’s hard to get excited about any other potential opponent for Floyds farewell. Amir Khan, Danny Garcia, Keith Thurman, Miguel Cotto, and Kell Brook, have all been mentioned, but none can deliver the uncertainty that Golovkin can. Yes, Golovkin is the bigger man, but if were honest about it, Mayweather is so mastered in this sport; a handicap might be the only way we really see him challenged. There are skeptics that believe that Golovkin is simply overrated, and will be completely outclassed. There are others fascinated with GGG’s one punch power, that would expect an early stoppage. This match up would answer a lot of questions. It would offer so many unknowns, and be intriguing like no other match up. It would be an epic battle of Stalker vs pure boxer., and certainly would not be a snooze fest. And let’s not forget, most important it would make a lot of money .Floyd has made a career by being hated. Many boxing fans shell out up to 100 dollars just to witness the possibility of Floyd being beaten. This fight could spark the interest of Floyd hater’s abroad. Even fans scorned by May vs Pac, that have sworn they will “never pay for another Mayweather fight again” will find themselves digging in their pockets. Golovkin has built up a little fan base of his own with his exciting style, and humorous interviews. He is a rising star, and even though he was born in Kazakhstan, his “Mexican style” would offer Mexican fans some retribution for De La Hoya, and Canelo if he was able to pull off what 48 have failed. The current landscape of boxing appears to be muddled with catch weights, which I am personally not a fan of, but if there has ever been a moment in boxing that a catch weight could be used to create an amazing fight, this would be it. We are supposed to hear if a Golovkin, Froch fight will be announced within the week, and that would eliminate all hope of this epic battle happening. Golovkin would further the gap in size, and Floyd will choose a less intriguing fight, however anything is possible in boxing. Not only is Golovkin vs. Mayweather possible, it’s the perfect ending to a legendary career. You are here: Home / Boxing News / Is a Floyd Mayweather jr. vs. Gennady Golovkin fight possible?